Marble has always been a material associated with class, opulence, and quality. Since antiquity, marble has been the go-to material for artists, architects, and designers who are interested in excellence and distinction for their work. Unfortunately, its natural beauty and a dignified history hasn’t saved it from gaudy overuse; a little bit of marble makes things classy, too much looks a little cheesy. 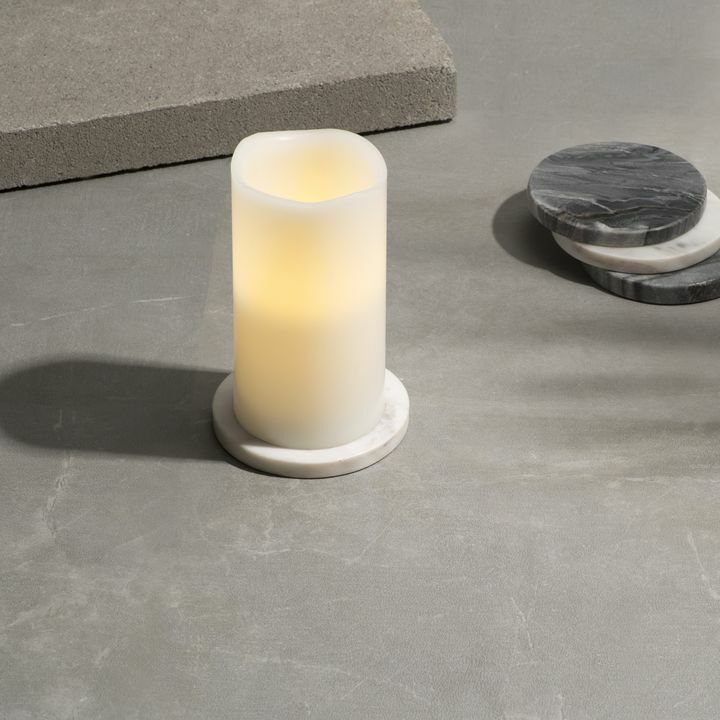 The key to using marble is balance- use the material strategically in places that you want to add a touch of elegance and avoid layering marble on top of marble. 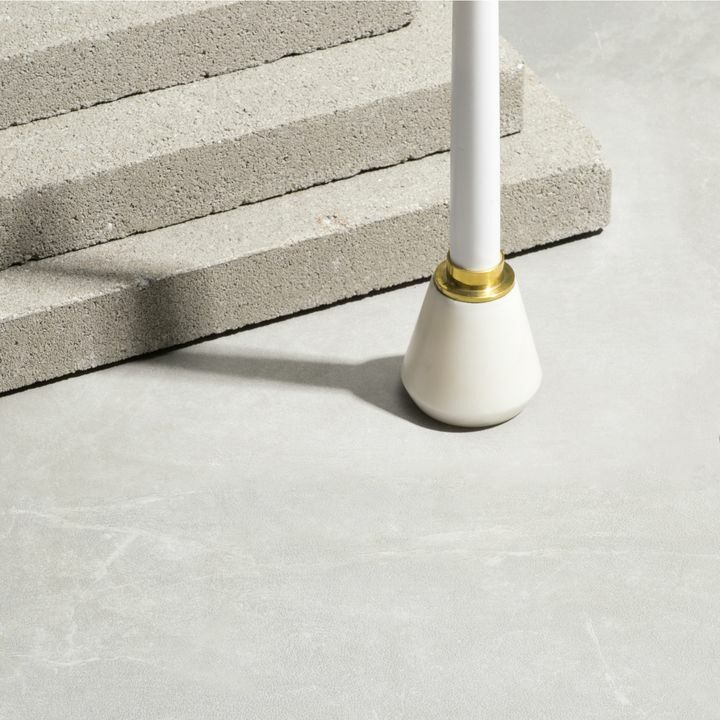 With the right application, marble elements add sophistication and grace and doing it right means you don’t have to come close to breaking the bank. 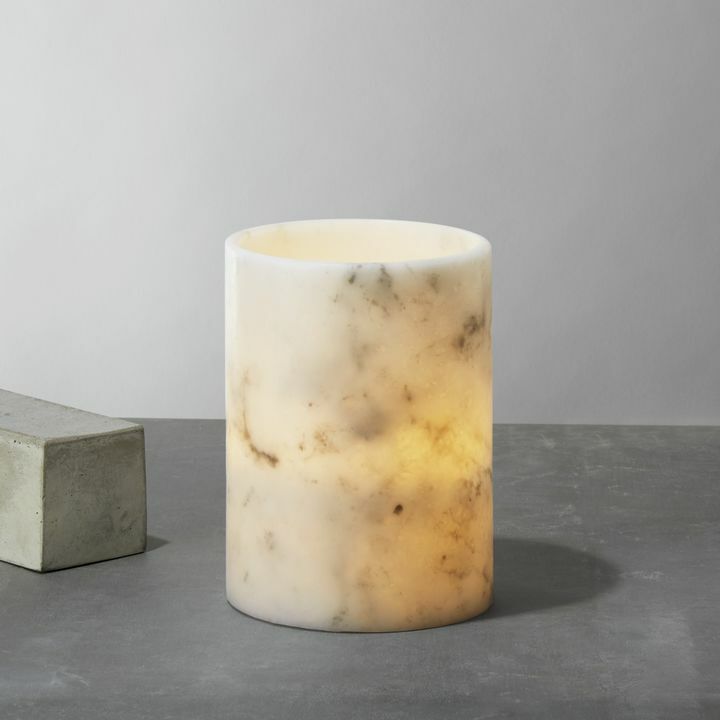 Marble table candle holders are an elegant, inexpensive way to add the richness of the material without taking up too much physical space or visual capital. 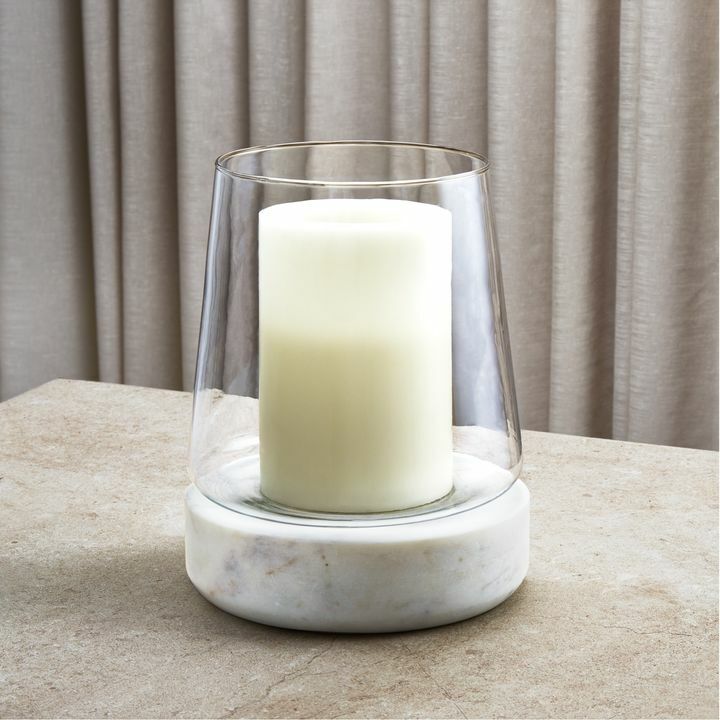 Real marble candle holders can tastefully balance louder, more ornate elements to help avoid a space looking overdone. Place a single candle holder next to rolled hand towels in the bathroom for sense of luxury. A pair of marble candle holders among a more rustic mantle display can take it from provincial to a classy bucolic. 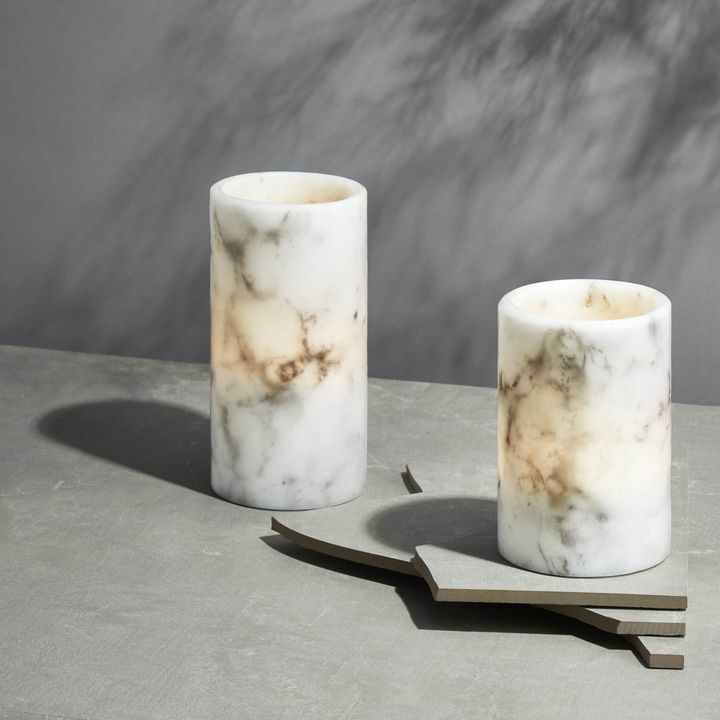 Using a natural material like marble for taper candle holders in floral centerpieces compliment the blooms and allow the flowers to be the focus. Marble Plates and part-marble hurricanes can create strong impressions without becoming overpowering. 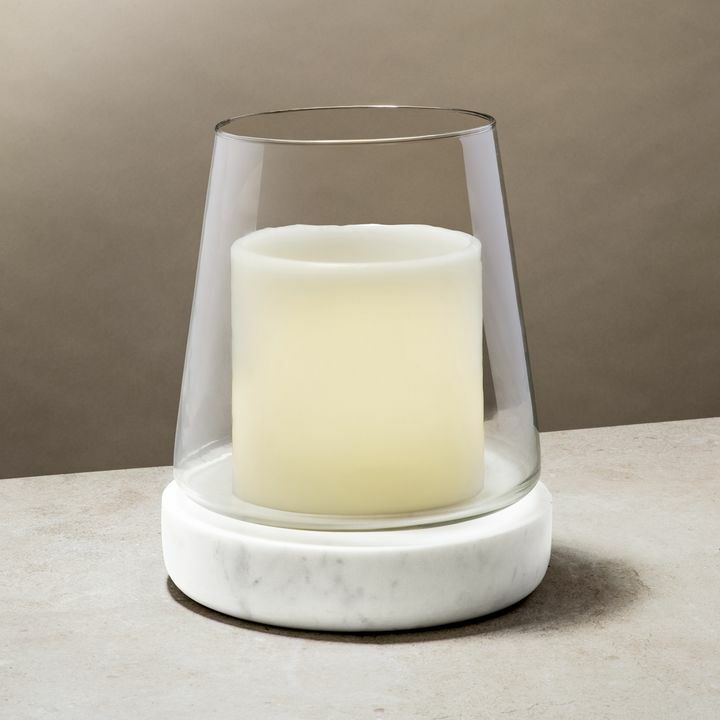 Choose a marble and glass hurricane as an interest piece on a console or bookshelf. 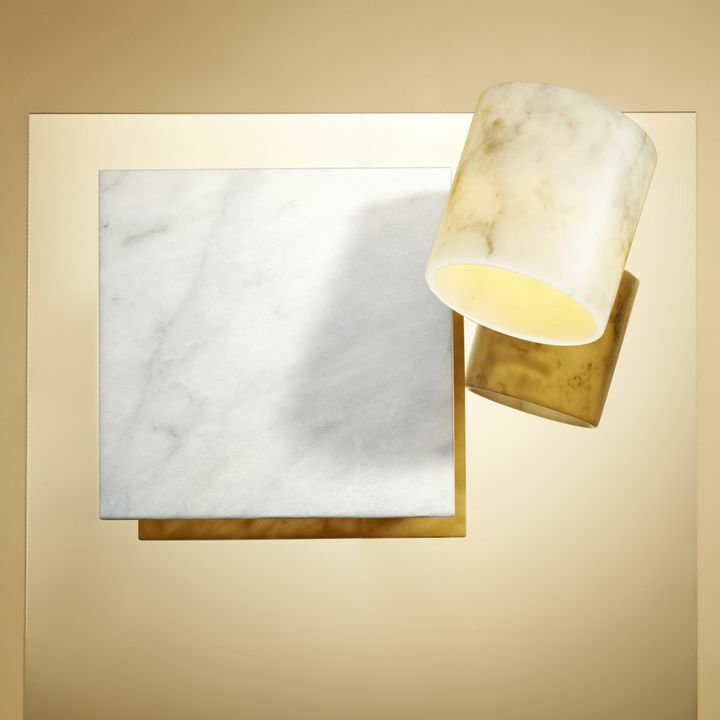 Use a single marble candle plate paired with a simple candle and photo book for a polished, chic addition to a coffee table. 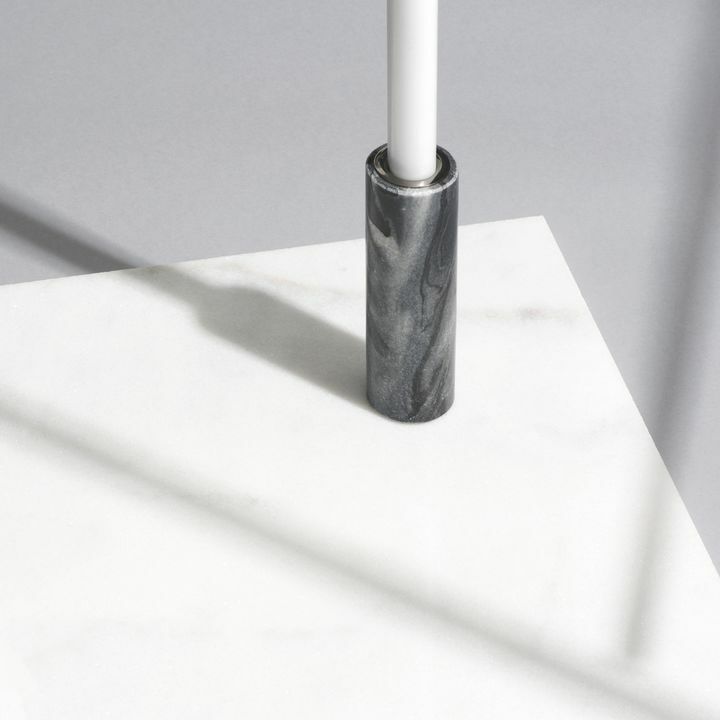 Items with marble touches placed on top of finished wooden furniture make for very appealing textural dichotomy. 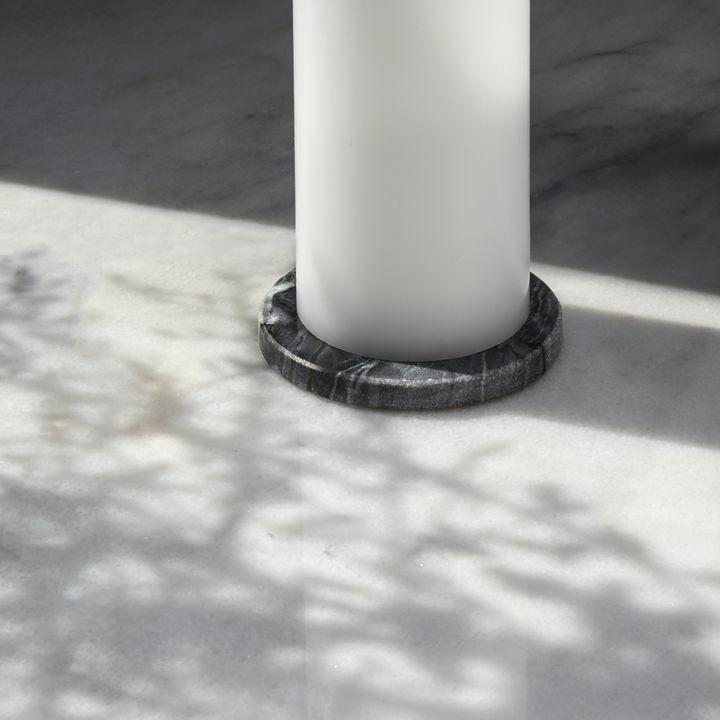 Natural marble shaped into geometric forms make a striking contrast. 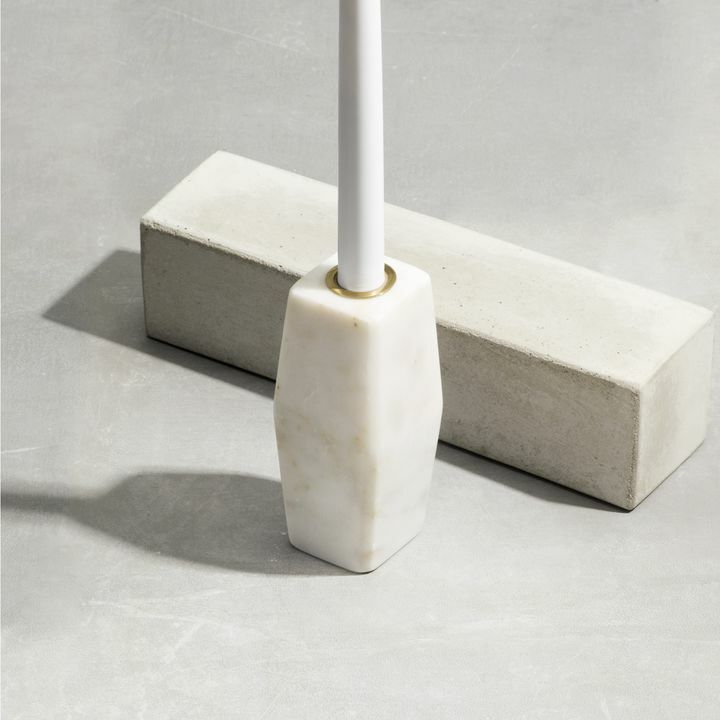 Flameless marble candles with a marble finish provide the double whammy of a unique texture on an unexpected object and something i don’t know. 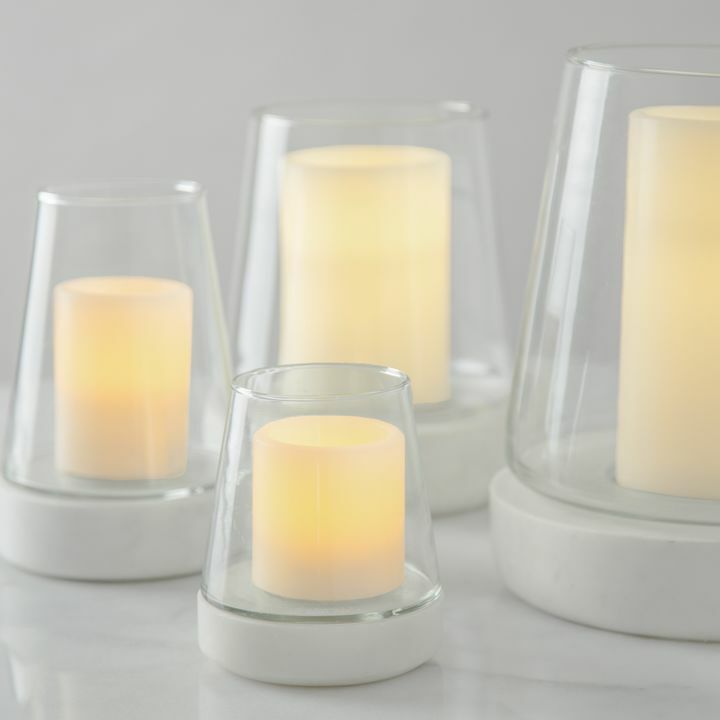 Use grouped marble candles of varying heights on a nightstand in a guestroom for a neutral but homey element. Place a single large pillar in the center of a tablescape for a touch of light and while creating a natural focal point. 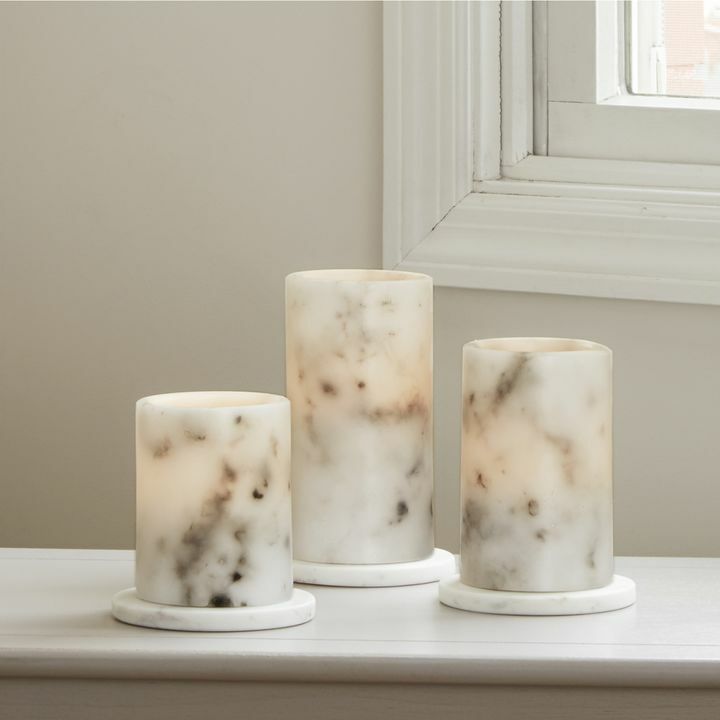 Large marble candle pair well with contrasting textures; for a little more drama, set one on top of a finial pillar candle holder in a brass or on top of a flat nickel plate. 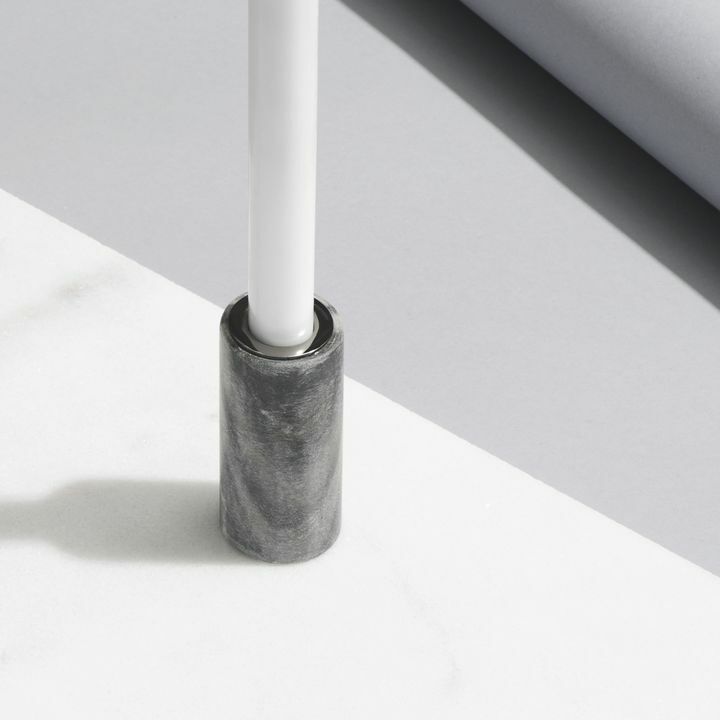 Vena Marble Pillar Candle, 6x6"
Marble has been a fundamental material in well styled homes for as long as we’ve been cutting it out of the ground. Beautiful and graceful, small touches are all that’s need to make a big impression. By keeping an eye on balance and avoiding overuse, adding the classic stone to your decor is an easy, inexpensive way to add a sense of luxury to any room in your home- from office to powder room.